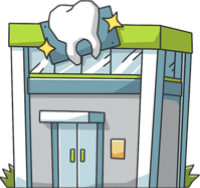 These are the most common insurances accepted by Dentists in Charlotte, NC. I have been going to this practice for years and it is consistently great service and they get you in and out.. Went for a cleaning and had a great experience. Very knowledgeable and inviting team. Would highly recommend!. Excellent dentist. Timely, gental, and very personable. I highly recommend him. .
Been coming here for a year and a half now. They are really taking good care of me. Jeannette is the greatest.. I was very impressed with the service at My Dentists in Charlotte, NC. The entire staff treated me with professionalism and courtesy. I highly recommend My Dentists in Charlotte,NC..
Dr. Bateman and his staff are great. Always there when youneed them.